American National Sprinkler & Lighting began installing lawn sprinkler systems in 1984 with 1 vehicle and 3 employees in a small office in Wheeling. Our philosophy and dedication to the customer is the number 1 reason for our success and the origin of our motto, “INSTALL ONE TIME …SATISFACTION FOR A LIFETIME". We have grown in size to a fleet of over 40 vehicles with 80 employees housed in our 13,000 square foot facility in Mundelein, IL. Our mantra – install a perfectly designed and reliable sprinkler and/or lighting system and maintain it for life. 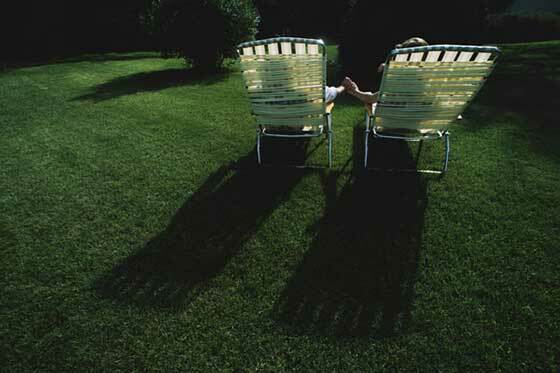 Lawn sprinkler and outdoor lighting are both service oriented industries. In a service industry, a company is only as good as its ability to service its customers well. WE ARE DRIVEN TO ACHIEVE CUSTOMER SATISFACTION! If a customer needs a lawn sprinkler system or lighting service our 20 plus technicians, coupled with amazing office staff, are able to schedule and complete the repair in 1 or 2 days and most times without the customer needing to be home. We take great pride in our service response time and ability to solve all issues. Our office staff understands the importance of quick turn around times when scheduling an appointment with the homeowner. The office staff is friendly and courteous and will coordinate with your busy schedule. We continually update our vehicles and communication hardware allowing us to effectively service our client base. 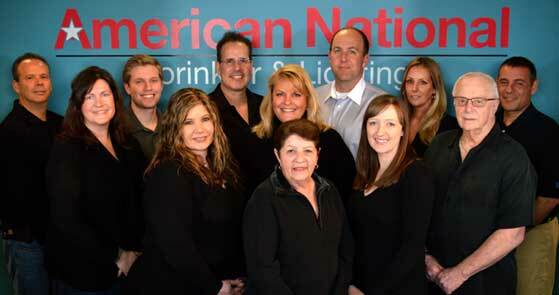 At American National we believe in scheduling a service call at your convenience. We have developed a scheduling program to minimize the time you need to be at home, and also work 7 days per week to accommodate working families. Our office staff will contact you in the spring to schedule the opening of your lawn sprinkler system and to service your lighting system. 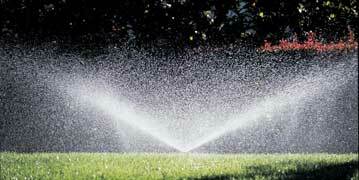 We will also call you in the fall to schedule the closing of your lawn sprinkler system. From our office staff handling the incoming calls 12 months per year to our experienced service technicians ready to handle the work order ticket to our 13,000 square foot facility which enables us to stock our trucks efficiently. Bruce is the CEO of American National Sprinkler & Lighting. Bruce is a Graduate from the University of Illinois with a Bachelor of Arts Degree in Finance. He also is a Graduate of DePaul Law school with a Juris Doctor degree and is licensed to practice law in Illinois. 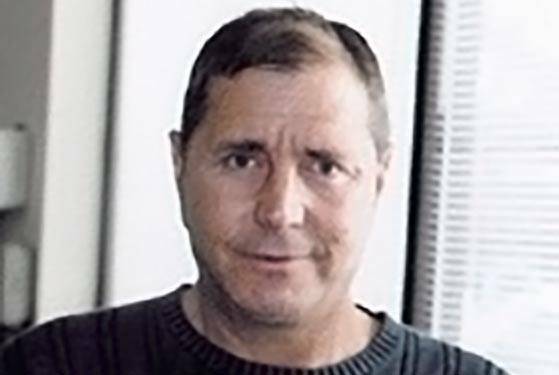 Bruce has been working in the green industry for over 35 years and has extensive knowledge in both lawn sprinkler systems and outdoor lighting. He oversaw the expansion of American National from 2 employees with 1 truck in a small office in wheeling to currently over 80 employees with 45 vehicles housed in a 13,000 square foot facility in Mundelein. He overseas the daily operation and works closely with the Sales Team, office staff, and field staff. He recognizes the importance of allowing each department autonomy while creating an environment which allows each individual to succeed. He understands the importance of synergy between each department. Bruce developed American National’s Motto “Install one time ... Satisfaction for a lifetime" which is consistent with his philosophy of installing an excellent and reliable lighting and sprinkler system and then maintaining that system for life with incredible service technicians and an organized and professional office staff. Howard is the founder of American National Sprinkler & Lighting. Howard has been working in the green industry for over 45 years. He understands the importance of taking care of each and every client like it is his own house. American National currently services over 8,500 customers based on this philosophy. 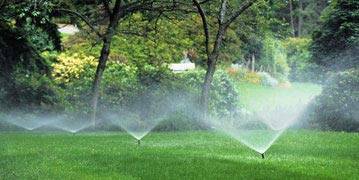 He has expert knowledge in all aspects of lawn sprinkler systems. From his text book design to the electrical engineering to obtaining uniform watering coverage his expertise in irrigation is second to none. Howard currently overseas the commercial irrigation division and is in charge of inventory control. Laury is the Senior Vice –President of Sales for American National Sprinkler & Lighting. Laury is a graduate from Illinois State University with a Bachelors of Arts Degree in Finance. He has worked in the irrigation and lighting industry for more than 25 years, all with American National. Laury has immense knowledge in both sales and project management in commercial and residential irrigation. He has overseen a variety of detailed and complicated irrigation projects over the past 25 years. From a 4 mile parkway project in Greg's Landing, to a 200 unit complex on 10 acres in Northbrook, to a Sophisticated Barrington estate with multiple plant beds, vegetable gardens and turf areas, he has the expertise to handle any irrigation project . Laury has sold and managed thousands of irrigation projects from inception to completion with his vast knowledge of products and text book design. He understands the importance of accurate, imaginative and prompt bidding with each and every homeowner. 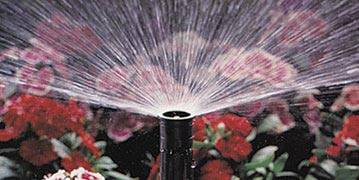 He has extensive knowledge and comprehension of plant material and what is the best way each type of plant should be irrigated. He has worked with hundreds of landscape architects, contractors, and builders to coordinate successful irrigation projects according to their detailed specifications. Dave is Vice-President of Sales for American National Sprinkler & Lighting. A graduate of the University of Illinois with a Bachelors of Science Degree in Kinesiology. 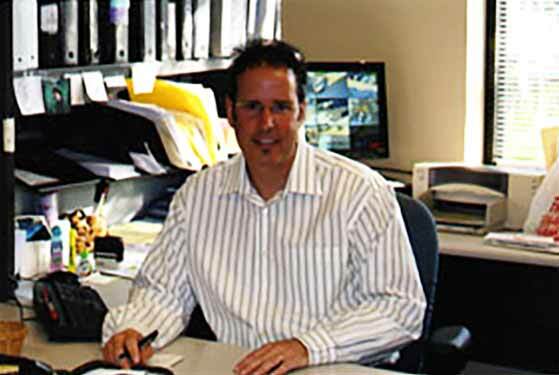 He has worked in the lighting and irrigation industry for over 20 years, all with American National. Dave is an imaginative and talented outdoor lighting designer who has sold and created thousands of lighting systems for happy customers. Dave has an uncanny ability to listen to the customer goals and budget and devise a beautiful lighting system perfectly for the homeowner. He has designed and supervised intricate rooftop gardens at the finest restaurants in Chicago to award winning landscape properties on the prestigious Northshore. Dave is equally adept at designing and managing irrigation projects. He is an amazing project manager who attends to every detail for the homeowner or landscape contractor partner. Dave has expansive irrigation knowledge. He understands how to engineer a complex site to create a seamless transition of irrigation to formulate gorgeous flower beds and luscious green grass. His technical education coupled with hands on experience allow him to expertly renovate and improve existing lighting and sprinkler systems. Josh is Vice –President of Sales for American National Sprinkler & Lighting. A graduate of Northern Illinois University with a Bachelor of Arts Degree in Operations Management with an Emphasis on logistics. 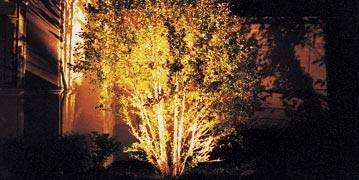 He has worked in lighting and irrigation industry for over 30 years. Josh is a talented and creative outdoor lighting designer who has sold, designed and managed thousands of lighting projects. From an intricate site in Chicago to a massive site in Barrington Hills he can create the perfect night time ambiance around your property. He has worked with numerous landscape contractors, architects and builders to obtain the perfect result. Josh is also a fantastic irrigation designer who has sold and managed hundreds of irrigation projects over his tenure at American National. His resume includes a complex 2 wire system in Barrington Hills to a beautiful plant and flower heavy estate in Inverness. Josh’s technical and product knowledge allow him to be an expert at overhauling, renovating and improving both irrigation and lighting Systems. Michelle Peters and her entire office team understand the importance of customer service to the homeowner. The staff embraces the company motto "Install one time…Satisfaction for a lifetime". While the field workers are responsible for the first part of our motto the second half is squarely on the office personnel. The entire team has worked hard via education, training, and seminars to be as organized and efficient as possible for our customers. The office staff is friendly, helpful and knowledgeable with each homeowner. The entire team is extremely hard working and dedicated to making your American National experience as positive as possible. 25 service technicians with over 400 years of experience in lighting and sprinkler service. Sales staff with over 80 years of combined knowledge in sprinkler and lighting design. Skilled installation foremen who understand how to design and install sprinkler and lighting systems. Referred by over 300 landscape contractors, landscape architects and builders. 13,000 square foot facility which allows us to stock inventory to meet any immediate client needs. Sprinkling and lighting the Chicagoland area for over 30 years with a fleet of 45 vehicles. All technicians are licensed, bonded, and insured for your protection. Sprinkler systems designed perfectly with head to head coverage which makes us the leader in the industry. 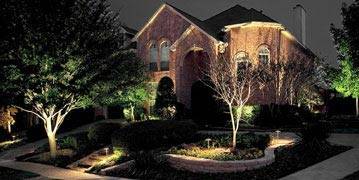 Lighting tailored for each homeowner to accent their landscape and outdoor environment. 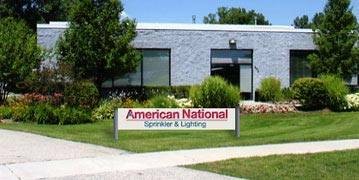 American National Sprinkler & Lighting takes pride in servicing our customers from inception to completion and many years thereafter. We have a reputation of integrity and high standards among individual customers, landscape architects, landscape contractors and builders. We constantly strive to earn this trust. Our office takes great pride in servicing our clients accurately and promptly. Lastly, our unmatched labor force consists of service and installation experts who have been employed by us for an average of 20 years. Their technical skill and work ethic are the backbone of our company. In business, since 1984 we have accumulated over 8,500 satisfied lighting and lawn sprinkler clients. Our team of talented design professionals can tailor your lighting and/or sprinkler system to maximize the appearance of your landscape.